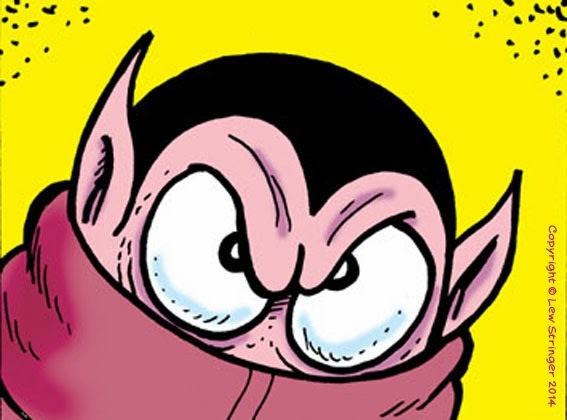 There's a certain school of thought that would have us believe that digital comics 'don't count' as proper comics because they don't exist in a physical form. 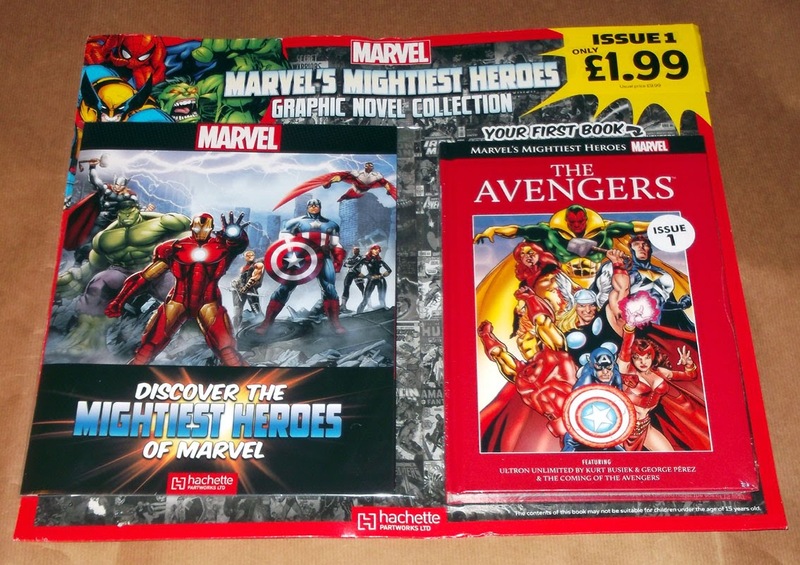 I'm not entirely unsympathetic to that notion because reading comics on a screen after being accustomed to having them in paper form all my life does take a bit of getting used to. That said, the main point of a comic is to convey a story in sequential words and drawings, page by page, and that remains the same whether the format is paper or digital. One of the valid arguments against digital comics was that you couldn't relax to read them in the same way you would a printed comic because they were on a bulky PC or laptop. 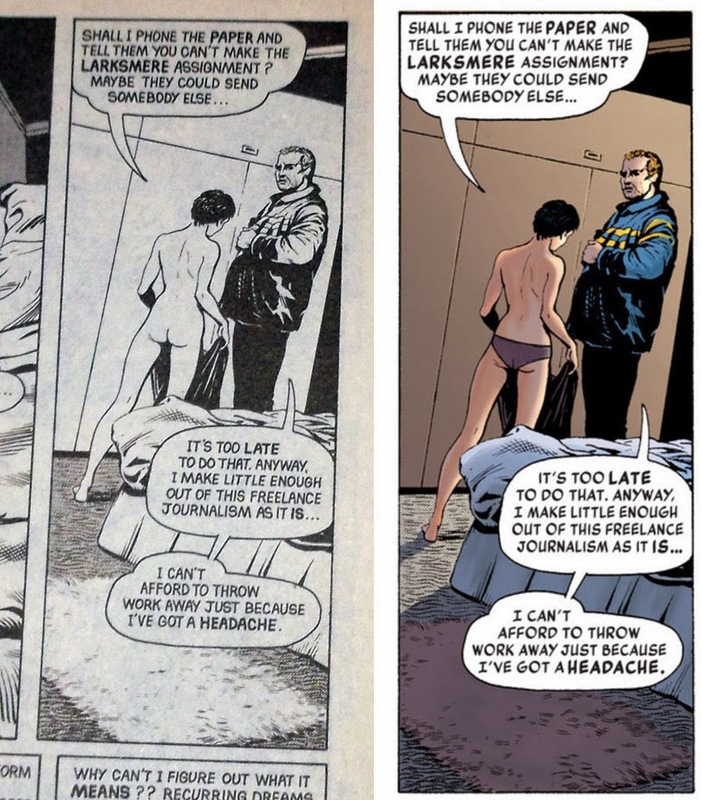 However, advances in recent years now mean that an iPad mini (or similar device) is lighter (and smaller) than an average graphic novel. Although admittedly you don't have to recharge a book after you've read it. 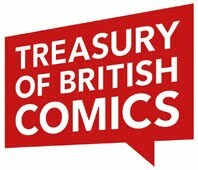 The big advantages for digital comics is that they're a more direct and potentially cheaper way for readers to access the stories, and the comics don't have to compromise to suit the whims of retail chains or licensing companies. 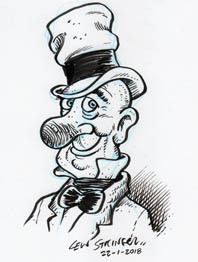 One such title is Aces Weekly, published by David Lloyd (artist of V for Vendetta, creator of Kickback). Each digital issue contains six different stories by various creators, plus extras that can include preliminary art and suchlike. 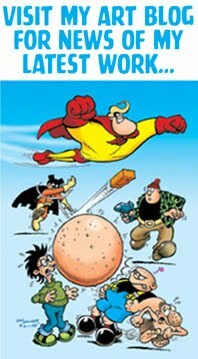 The comic runs for volumes of seven issues, with each volume costing a mere £6.99. Yes, just a pound an issue. There's no way a full colour print edition could compete with that price. And you don't even have to leave the house to buy it. Launched in 2012, Aces Weekly has now been running for 8 volumes of 7 issues each. 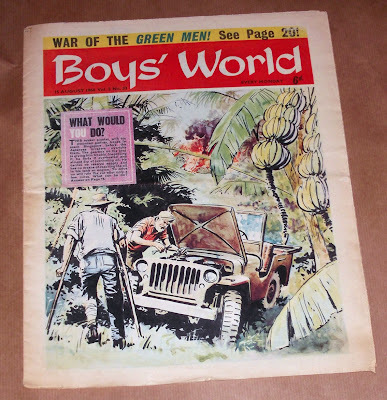 Over those 56 issues it has featured work by top professional creators such as David Lloyd, John McCrea, Mark Wheatley, Herb Trimpe, David Hitchcock, Yishan Li, David Leach, Steve Bissette and many more. Small wonder that it recently won the Pipedream Comics poll for Best Digital Comic. 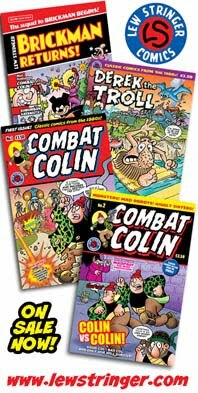 In the latest issue, Vol.8 No.7, my Combat Colin character makes his return in an all-new three page full colour strip that I created exclusively for Aces Weekly. Semi-Automatic Steve co-stars, along with the Giggly Sisters. The story begins where many British strips have ended, - with a slap-up feed, - but danger and daftness is just around the corner thanks to the return of Professor Madprof, the Mad Professor, one of Combat Colin's oldest enemies! As some of you will know, Combat Colin was a strip I did for Marvel UK's Action Force and Transformers comics back in the late 1980s. 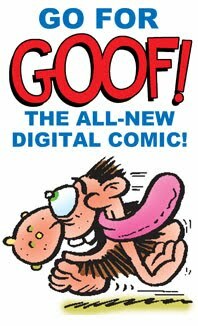 When Marvel returned the rights to me I produced a handful of self-published comics such as Yampy Tales in the 1990s reprinting several of the strips. 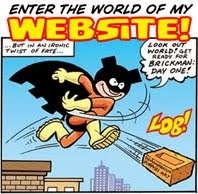 Combat Colin also guest starred in some episodes of the new Brickman series that ran in Image's Elephantmen comic a few years ago. A brand new Combat Colin story appeared in Aces Weekly Vol.1 No.1 in 2012, and publisher David Lloyd has been asking me to contribute another for some time now. I wasn't really ready to return to combat mode due to time and other factors but now I have, and I thoroughly enjoyed producing a new adventure for the bobble-hatted buffoon. Private Titch Mooney, the Convict Commandos’ man-mountain — ex-circus strongman and ferocious fighter — had no problem destroying a V2 rocket site in the face of a hail of lead fired by vengeful Germans as flames licked about his heels. But this solid granite character began to shake as he, Guy Tenby, Smiler Dawson, and Spider Mackay made their way through a Dutch graveyard. Was it superstition or was there a grave secret hidden there? Commando No 4676 – Death DiveIt’s the moment a pilot dreads most — when he first discovers that he’s lost his nerve. 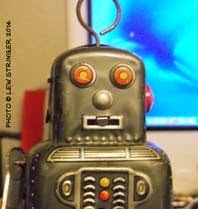 Hands that have always been rock-steady now tremble as they touch the joystick. His mouth is dry with fear, a cold sweat breaks out on his brow. Flight Lieutenant Ted Ridge knew all the signs. But only he knew he wasn’t fit to fly his Mosquito bomber on any more raids. And then the RAF picked him for a specially dangerous flying job — a job that no one else could tackle. Ted Ridge just couldn’t convince them that he wasn’t still the best Mossie pilot they had. In today’s enlightened times, post-traumatic stress disorder more accurately describes the phenomenon of service personnel being overwhelmed by the demands of active service in a war zone. In 1964, losing their nerve was the term used. Though this Kenner script deals with that situation but in a typically Commando way, it’s not hard to read a deeper meaning into this story with echoes of the famous Amiens prison raid — Operation Jericho. That’s if you don’t get completely distracted by Ken Barr’s movie poster-style cover and Gordon Livingstone’s gritty, angular inside art. Read it twice…just to make sure. It is often said that it is a matter of luck whether or not a soldier survives a war. The luck young German Army corporal Ludwig Richter got ranged from bad to worse as the Second World War brought him repeated injuries and robbed him of so many of his friends. Surely it could only be a matter of time before Ludwig’s luck ran out…for good. The schedule of a freelance cartoonist can often either be barren or blisteringly busy, and I'm glad to say it's the latter this month. Things could swing the other way at a moment's notice of course but at present I don't have time to post any detailed articles on this blog. 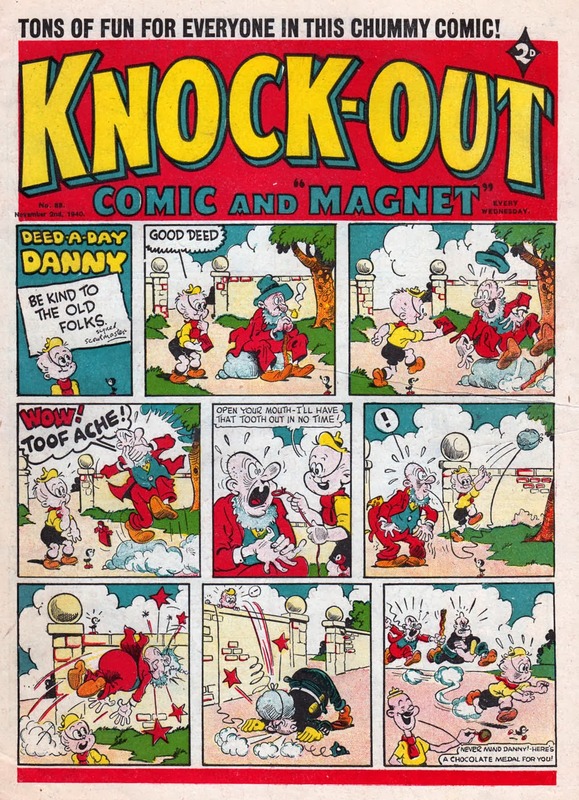 Instead, here's a quick look at the cover of a wartime issue of Knock-Out from my archives. Issue No.88, dated November 2nd, 1940. 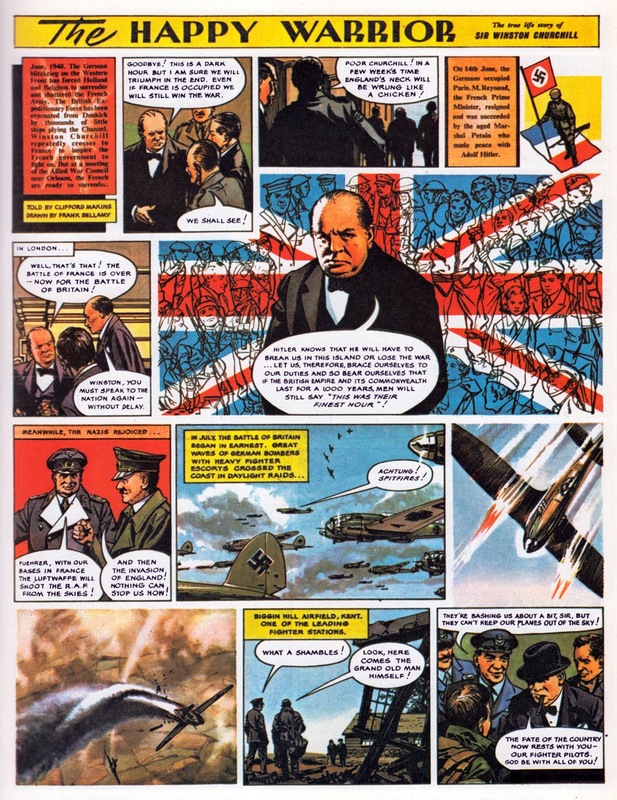 World War 2 was well under way, but comics like these brightened up the lives of children across the UK. Right, back to the drawing board to draw strips of my own that perhaps someone else will be blogging about in 70 years time! 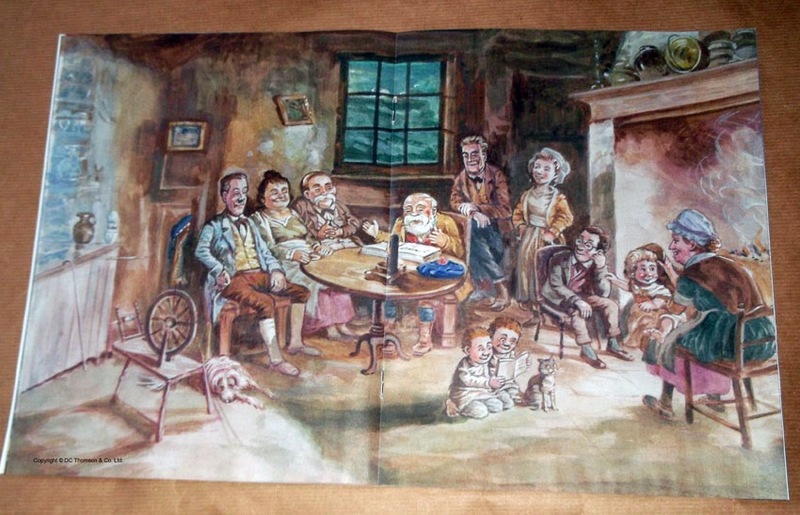 Today's edition of The Sunday Post includes a free 48 page magazine entitled The Broons Celebrate Robert Burns. 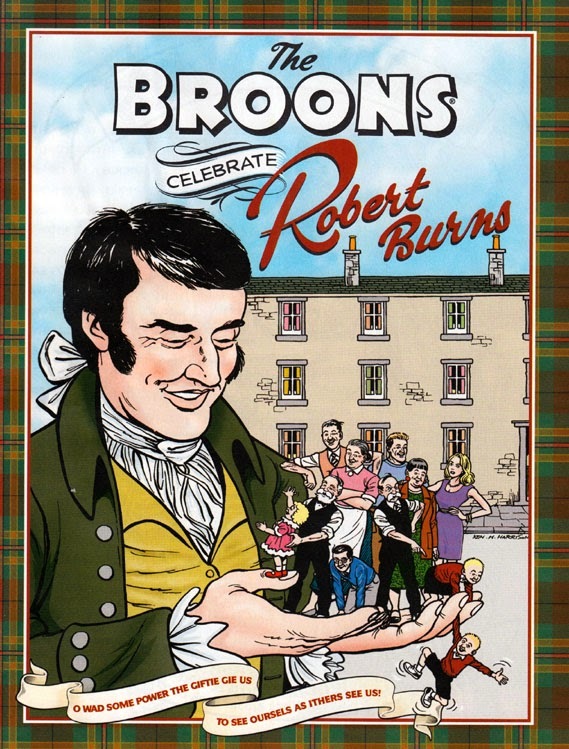 As you can gather, the magazine commemorates the Scottish celebration of Burns' Night with a wealth of suitable strips and features. 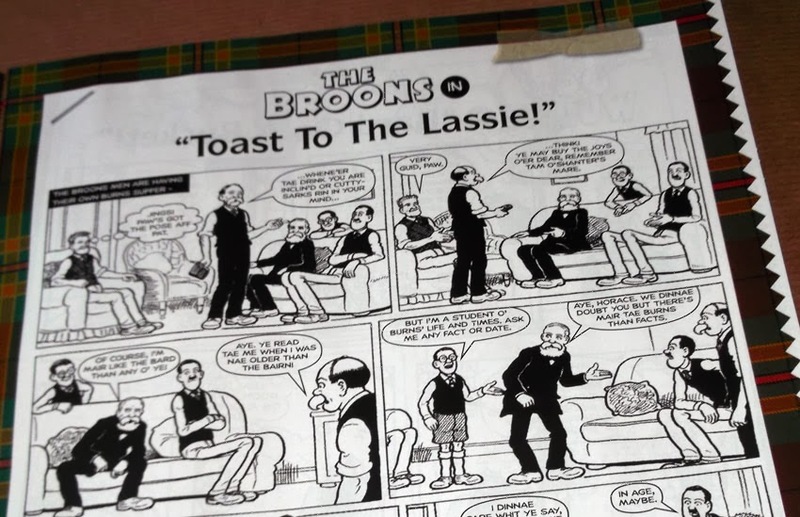 From the looks of things, most of the Broons and Oor Wullie strips in the mag are reprints from The Sunday Post. 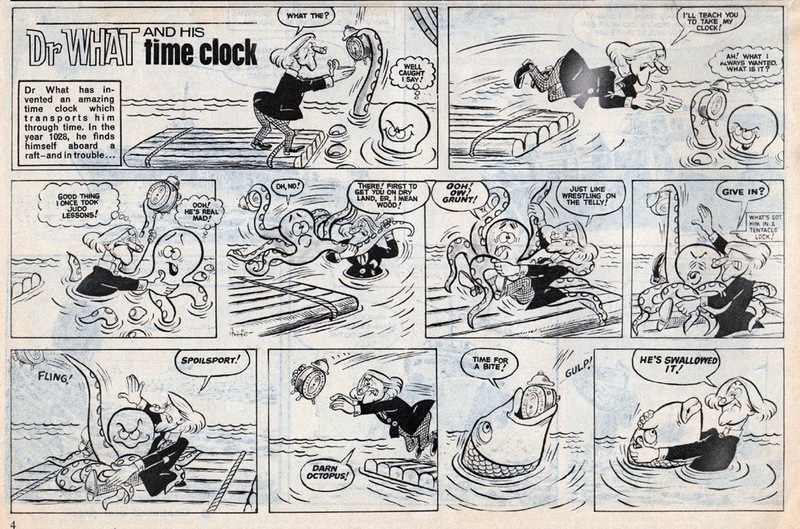 The majority were drawn by Peter Davidson but there is a resized Oor Wullie strip by Dudley Watkins from the 1960s, and a three page Broons by Ken Harrison that may be new. 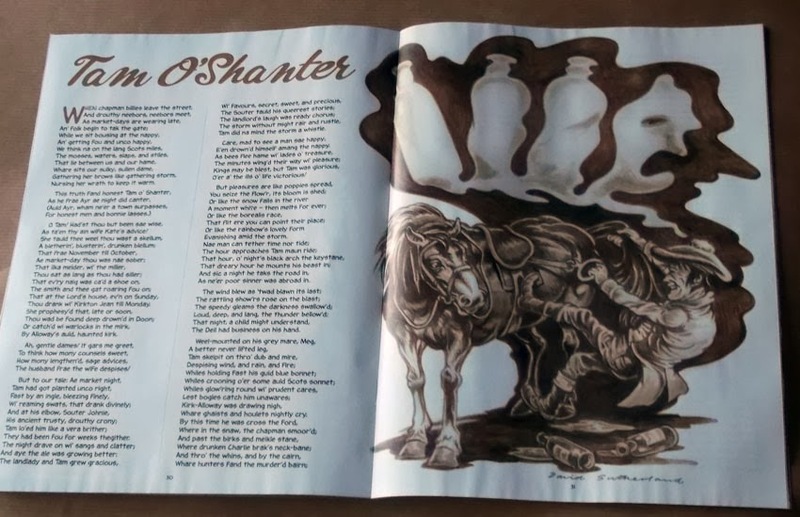 Amongst the other features there's Burns' Tam O'Shanter poem illustrated by Bash Street Kids artist David Sutherland. Very nicely done in wash. Although a Scottish newspaper, The Sunday Post is available in England too (in some newsagents at least). 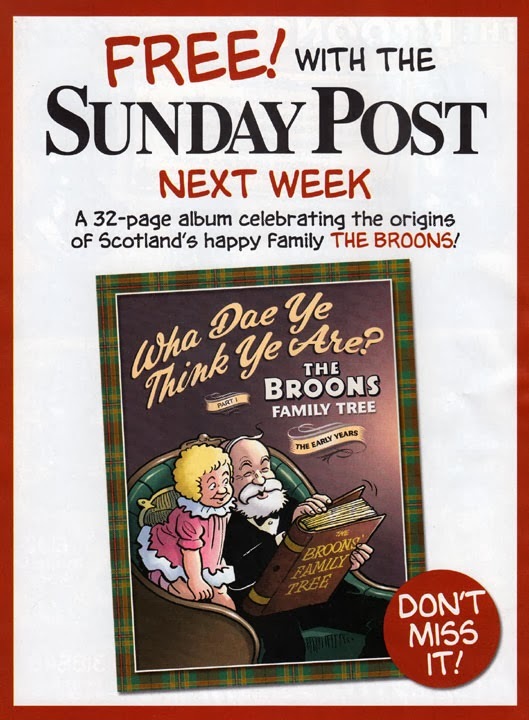 Next Sunday's edition will include another free magazine; this time focusing on The Broons Family Tree. No mate. You're Marvelman. Welcome back though. As back stories go, Marvelman tops the lot. It's a Miracle he's back in print! 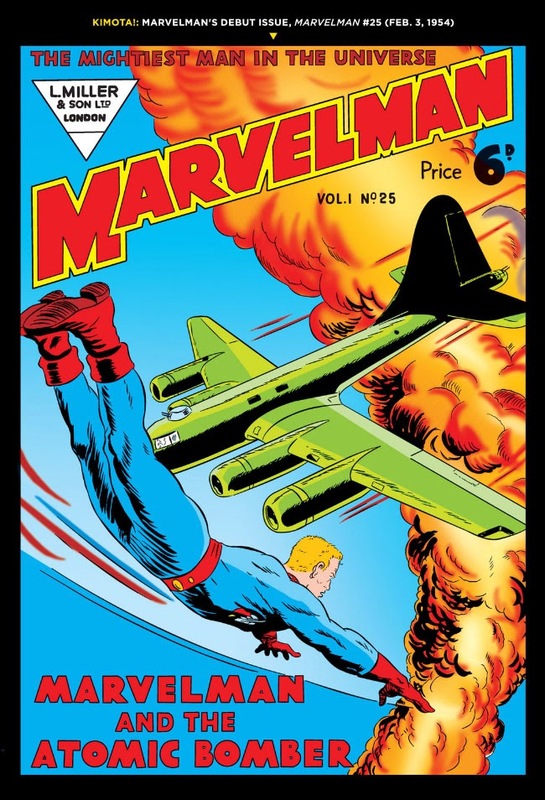 Marvelman was created in the 1950s for UK publisher Len Miller to replace their top selling Captain Marvel reprints (which had ceased in the USA due to legal hassles from National Periodicals who said CM was too similar to Superman). Marvelman ran until 1963, was revived in 1982 for Warrior comic, and had its name changed to Miracleman for its American reprint (due to more legal hassles from Marvel Comics who objected to the name). 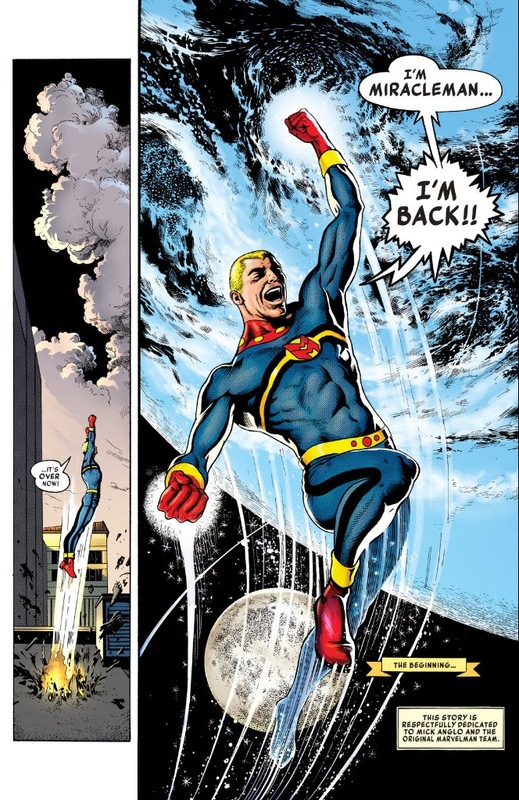 After Warrior folded, Miracleman continued in the USA with new stories but from what I understand, it never concluded. I dunno. I'd given up on it long before then. More legal twists and turns occurred between creators and, to be honest, I was too preoccupied with my own life to follow the proceedings too closely. A few years ago, Marvel proudly announced that they had bought the rights from Marvelman's creator Mick Anglo and would be bringing the character back in print. They published a few reprints of the 1950s material which, let's be blunt, were not exactly highlights in UK comics history. Which brings us to today, and the commencement of Marvel's monthly reprint series of the really good stuff; the strips from Warrior by Alan Moore and Garry Leach (soon to feature the work of Alan Davis). Except that Alan Moore is not credited by his own request (not wishing to have anything to do with Marvel). Marvel have instead dubbed him 'The Original Writer' as though it was his wrestler name or something. 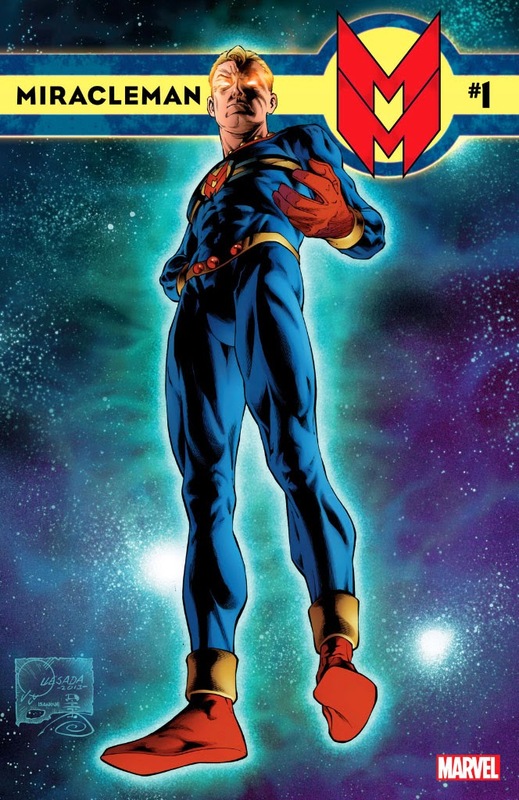 Oh, and Marvel, who were so insistent in the 1980s that no one but them could publish a hero named 'Marvelman', have chosen to call the series Miracleman. But that's the name most American readers will know him as anyway, so that's understandable. But y'know, for readers this side of the Atlantic, the name's a bit of a nuisance. He's Marvelman to us. 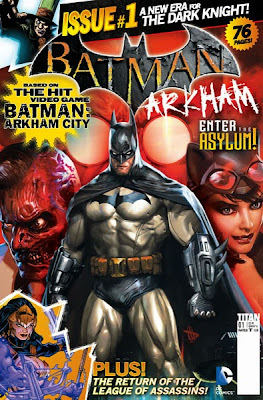 Anyway, is the revived comic any good? It costs a bit more than a 6d copy of Marvelman would have set you back 60 years ago that's for sure. 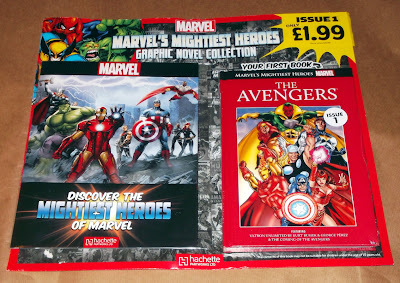 Expect to pay around £3.50 to £3.99 for this first bumper issue. Newly coloured by the excellent Steve Oliff and re-lettered by Chris Eliopoulos, Miracleman No.1 starts off with a Mick Anglo/Don Lawrence short story from 1955, then moves on to the first two chapters by Ala.. the Original Writer and Garry Leach. Even though this is one of the strips that started the whole darker, grittier mood of superhero comics it still comes across as modern due to the high quality of the script and art. Expensive as it is, Miracleman No.1 is worth the money because it also features a fair amount of bonus material. 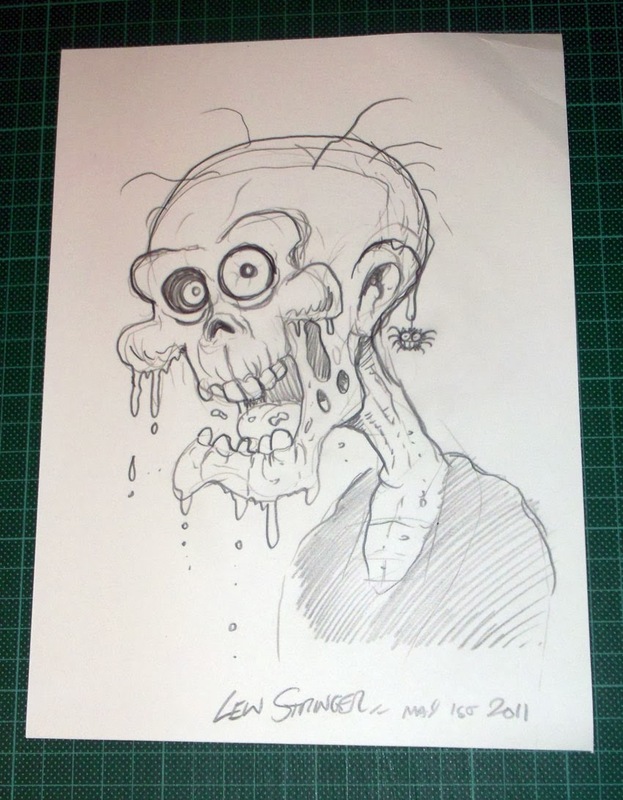 There's a behind-the-scenes look at some of Garry Leach's original artwork and preliminary sketches, a brief article on Marvelman by Mike Conroy, snippets from an interview with Mick Anglo, and reprints of the very first Marvelman strips from 1954. And yes, in the case of the historical material, he is still called Marvelman, thankfully. If you've never seen these stories before, there's no better place to start. Miracleman No.1 is in comic speciality stores today, or available to purchase as a digital comic via the Marvel Comics or ComiXology apps. 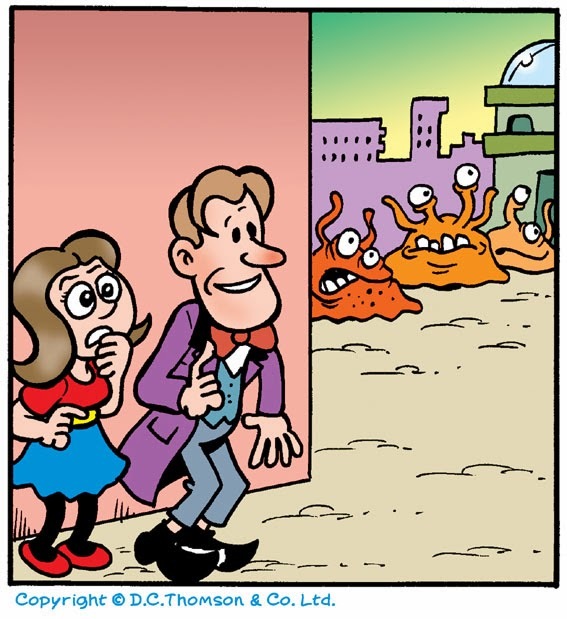 My Doctor Flu strip is currently running in The Beano but there have been many spoofs of Doctor Who in comics over the years of course. 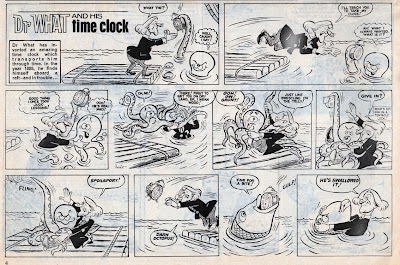 The first was Dr What and his Time Clock, a weekly humour-adventure serial that ran in Boys' World in 1964, published by Odhams. The haistyle and clothing of the character is obviously based on that of the first Doctor as portrayed by William Hartnell. 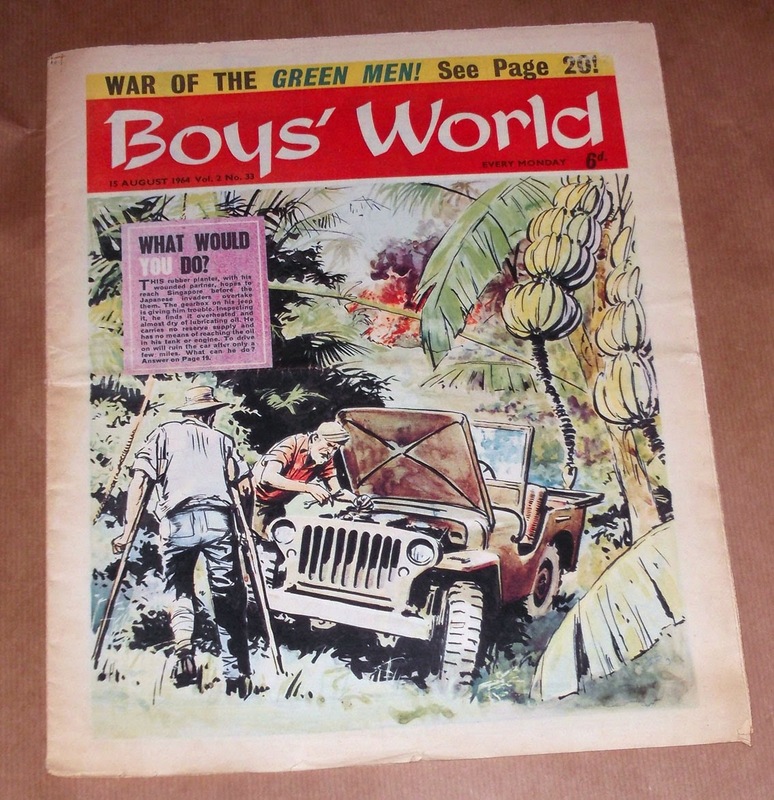 Here's the episode from Boys' World Vol.2 No.33, dated 15th August 1964. 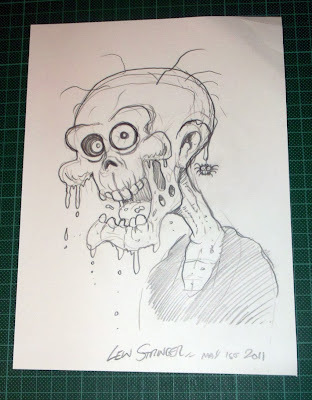 The art is by Artie Jackson, who later drew Danger Mouse (preceding the TV cartoon of the same name/concept) for Smash! in 1966. 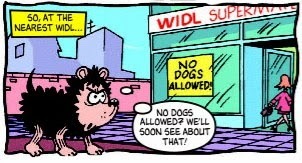 Jackson also drew many of the Danny Dare strips for Wham! Frank Bellamy's dynamic artwork and inventive layouts made quite an impact on comic readers of the 1950s to 1970s. Sadly the artist passed away far too young at the age of 59 in 1976 - but he left us with an incredibly high standard of work that still impresses readers old and new. Some of Bellamy's artwork for Thunderbirds and Garth has been reprinted in recent years - as has his early work for Swift. There's also a luxurious edition of his Heros the Spartan strip in a limited edition. 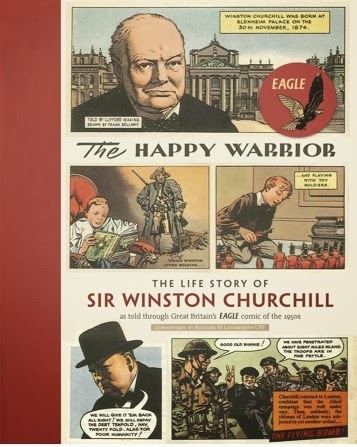 This March, Unicorn Press are to publish The Happy Warrior, the life story of Winston Churchill that Bellamy illustrated for Eagle in 1957/58. I recall that this weekly, full colour series of full pagers was collected before, about 30 years ago, but that book is long out of print. 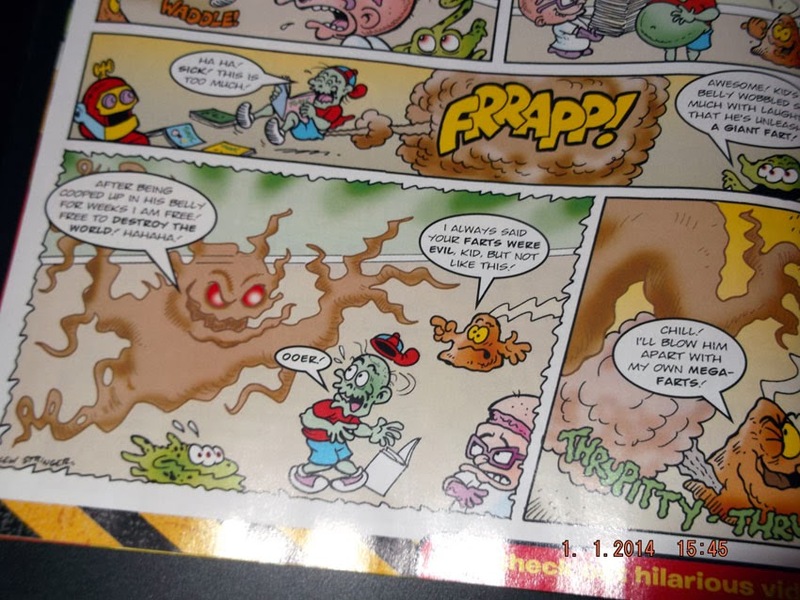 This week's issue of The Beano (out now) sees the return of some old favourites in brand new strips - plus a new character making his debut. 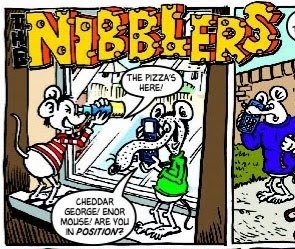 ...and Hunt Emerson's superb brushwork can also be seen on the return of The Nibblers! 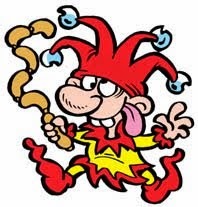 ...plus all the favourites such as The Bash Street Kids and Dennis the Menace of course! This is an ideal issue for new readers to jump on board - and may hopefully entice fans of the returning classic characters to consider buying the comic again. 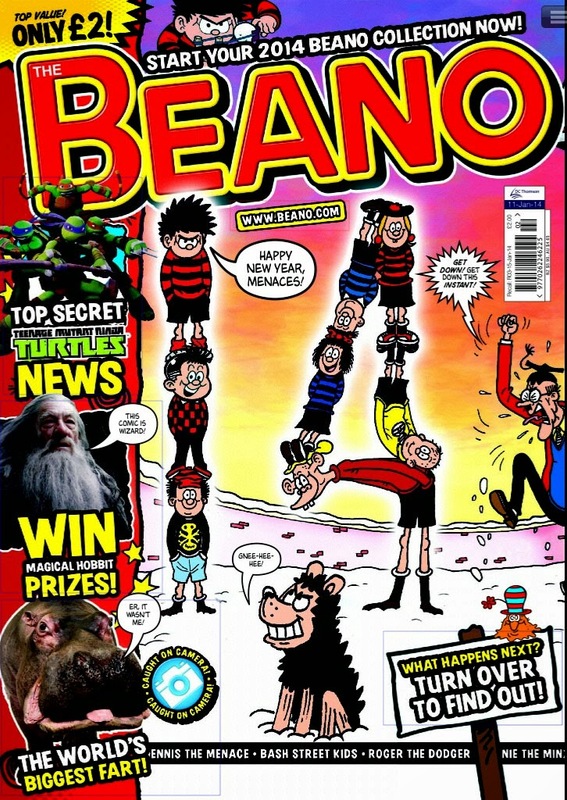 The Beano commences the new year in fine style with a good mixture of strips from long established artists and relative newcomers. Something to please everyone I think! The Beano No.3717. 36 pages. £2. Not a single reprint and not bagged with cumbersome gifts! What are you waiting for? Jump in your cartie and set off towards the newsagent now! “For the first time in its very long history, Commando will giving a free gift with every issue. It may have been a long time coming but we think you'll think it's been worth the wait. 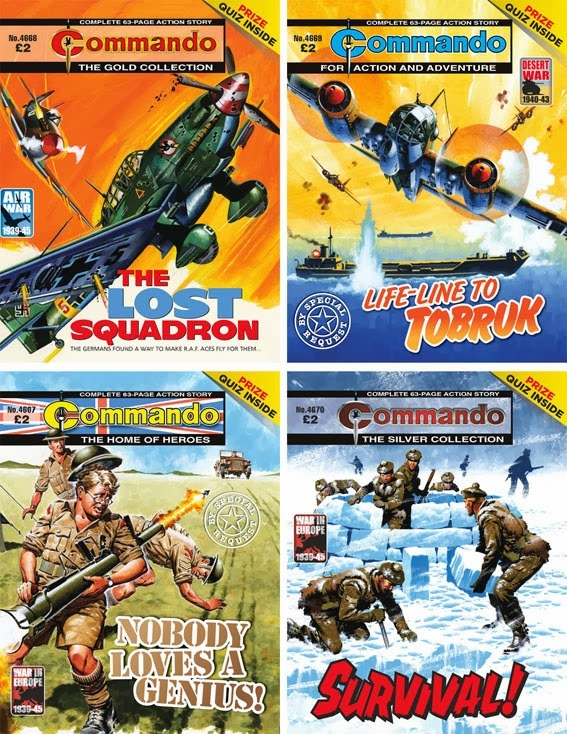 Along with the first eight issues released in the UK in January will be eight A4-sized postercards featuring some cracking pieces of Commando cover art which we know you love to have. There's one postercard for every issue and a different one for each story. 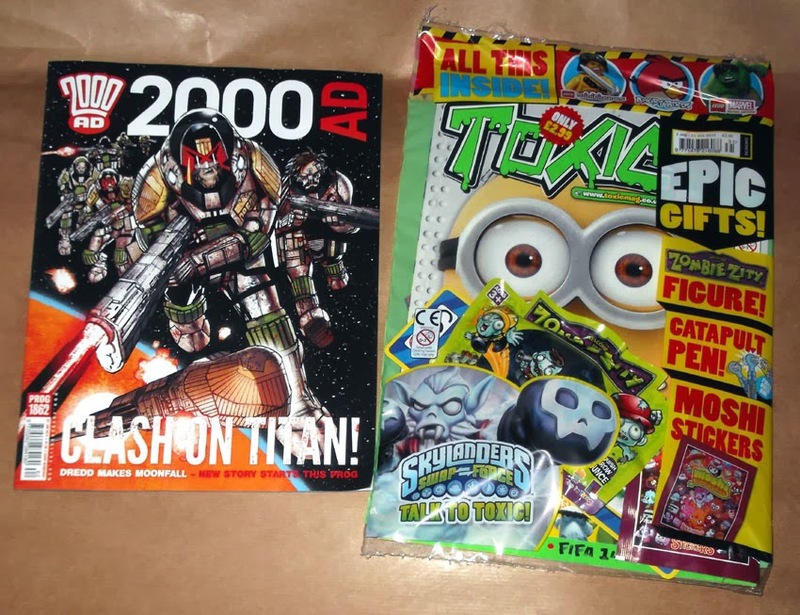 We have taped the cards to the Commando issues so you'll notice that your Commandos are taking up a bit more space on the newsagents' shelves. The stories themselves are the same action-packed tales you've come to expect and they're the same size you want...they're just a bit easier to spot! If you don't have your copies set aside, it might be a good idea to get to the shops smartly...we're sure they be selling fast. Once you've got yours, pass the news to your comrades-in-arms. Let's try to get the shelves cleared ready for the second batch. Private Hubert Wellington was a real nice chap — keen, well-meaning, anxious to please. There was only one thing wrong — anything he got involved in was doomed to disaster! When Stuart Duncan e-mailed his request to see this one again, I had my doubts. 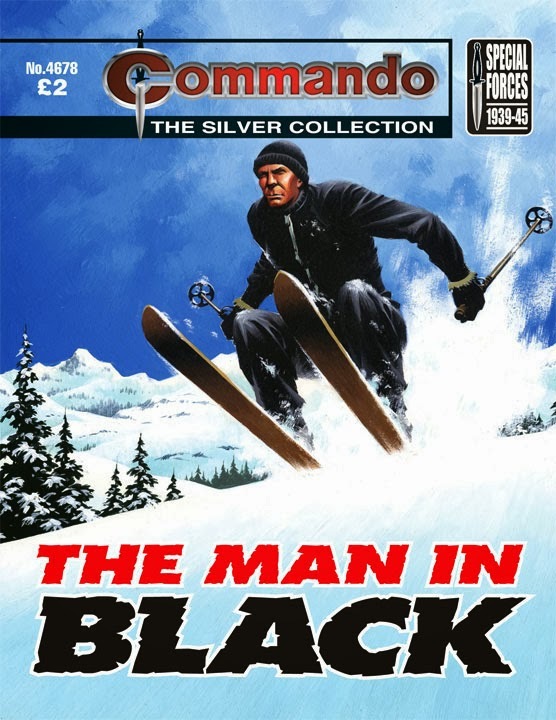 Its Ian Kennedy cover was a cracker but the story looked just a little bit comical to be a good Commando. But he wasn’t alone in asking for it so I decided to read it again. What a surprise! Despite the cover and the apparently bumbling hero, this is one hard-hitting Commando, beautifully realised in great detail by Pat Wright. Without giving the game away, with a change of uniforms and locations, this could be a contemporary story. It could be the work of a genius. PS Remember we are always open to suggestions when it comes to titles you would like to see again. Nobody Loves A Genius!, originally Commando No 824 (March 1974), re-issued as No 2084 (May 1987). “Slim” Sothern, fighter pilot, floated in the Channel in his Mae West and cursed his rotten luck. Sure, an ambulance rescue seaplane was circling above, but it was German, and Slim feared that for him the war was over, and only the deadly dullness of prison camp lay ahead. He was taken prisoner all right but inside a week such strange and mysterious things had happened to Slim Sothern that he, and other RAF pilots like him, had been turned into a “Squadron of the lost,” and were flying Messerschmitts for the Germans against the British. I reckon Peter Ford is an unsung hero of the early years of Commando. His crisp, accurate lines — especially, but not only, when dealing with aircraft — is up there with the best of comic illustrators. He was one of the few Commando artists to write stories as well, but here those duties are done by Boutland who manages to weave fighters, bombers, Resistance fighters and nasty Nazis together in a fantastic high-octane cocktail. 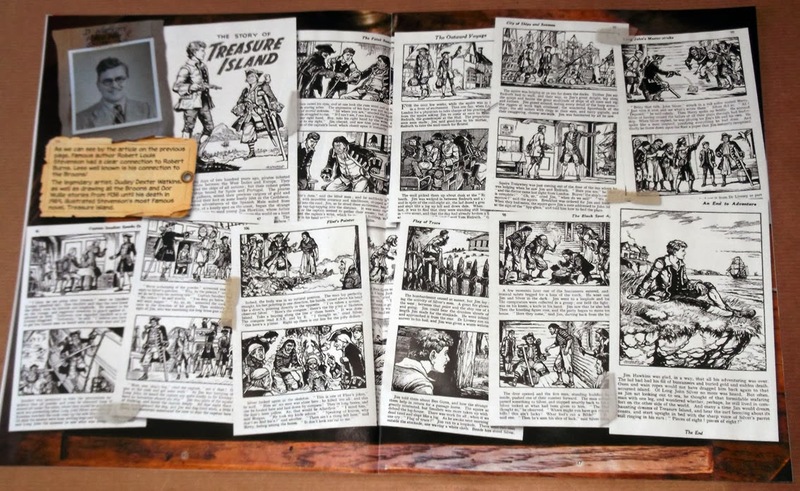 Striking though it is, Ken Barr’s cover only hints at the treasures within. Tobruk was under siege. Enemy troops lay around the port on three sides. No supplies could get through by any land route. Everything had to be brought in by sea. It was a dangerous business for the landing craft that were used as supply vessels. Slow and cumbersome, they were under constant attack by German ships and aircraft. But Lieutenant Jack Jarrat and his crew took on all comers, even the German army. It seemed that nothing could stop them! Here’s a chance to taste a slice of classic Commando, as requested by Commando readers. Bill Fear’s script leads us from sea to land and back again, twisting and turning as he weaves a tense story around the brave men fighting in North Africa and the equally brave men aboard slow-moving, lightly defended landing craft supplying them. Carmona’s detailed artwork brings action and characters vividly to life. Wrap that in a classic Ian Kennedy cover and we’re on to a winner. I remember buying this one as a boy and after all these years it didn’t disappoint. Little wonder this it was requested by a number of readers, including Johnny Westbridge from New Zealand. PS We are always open to suggestions for titles you would like to see again. Life-Line To Tobruk, originally Commando No 1408 (April 1980), re-issued as No 2620 (December 1992). Commando No 4670 – Survival! A handful of shivering, crestfallen British soldiers, cut off in German-occupied Norway. Their mission…to destroy a Nazi airfield menacing the vital convoys to Russia. But before they could even think of tackling their target, they had a more difficult and far more urgent problem — simply to keep alive in the cruel cold above the Arctic Circle! Let’s kick off 2014 by telling you about some non-stop thrills, and spills – but enough about last month’s Commando Office Christmas party, what about this book..? Survival! is perfect reading for a chilly January evening – with its relentless Arctic adventure, tough heroes, ski-bound villains and, erm…igloo-building…this defies the odds to become a real winter-warmer from the archives. So, put your feet up, pour yourself a nice, hot cuppa and enjoy.